Ottawa made a good impression on J.B. Pritzker. 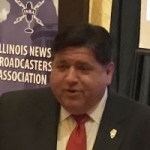 Pritzker, now the governor of Illinois, made a campaign stop in the city in 2017. The gathering may not have been as spontaneous as he recalls. Many people were in Washington Square waiting for him at least an hour before. Neverthless, he compliments the people of Ottawa for being interested. 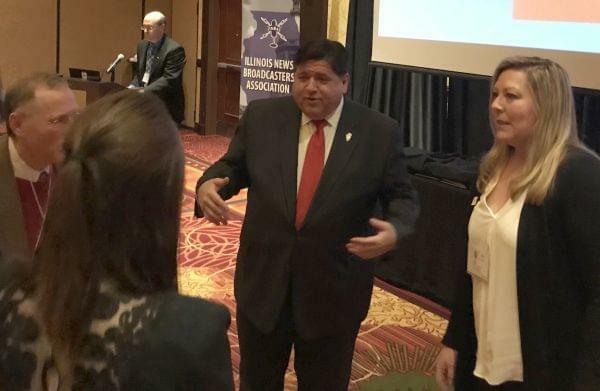 Pritzker talked about Ottawa during an answer to a question from WCMY News at the Illinois News Broadcasters Association convention in Normal over the weekend. 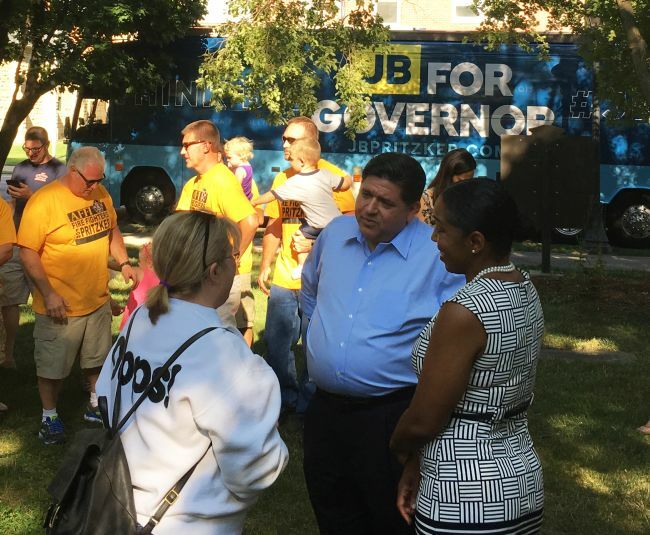 WCMY file photo: Governor candidate J.B. Pritzker talks to people at Washington Park in Ottawa.